The headquarters of the United Nations is a structure in New York City. 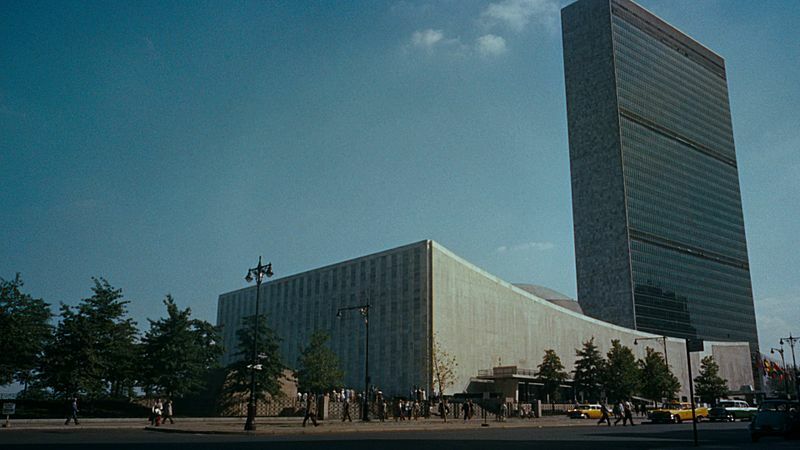 The structure has served as the official headquarters of the United Nations since its completion in 1952. It is located in the Turtle Bay neighborhood of the borough of Manhattan, on spacious grounds overlooking the East River. Its borders are First Avenue on the west, East 42nd Street to the south, East 48th Street on the north and the East River to the east. 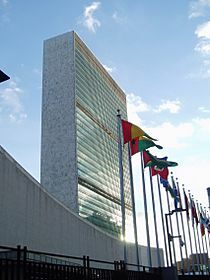 Turtle Bay is occasionally used as a metonym for the U.N. headquarters or for the U.N. as a whole. The building was designed by many architects across the world including Oscar Niemeyer. United Nations Headquarters Facts for Kids. Kiddle Encyclopedia.